Lam at Lta Blinds needed a website to represent his business online. Lta Blinds have worked for many years and mainly for businesses and installing commercial blinds in all of Adelaide and South Australia. Lta Blinds are expanding and want to focus on the homes as well and we were asked to create a website that would show the wide range of choice and colours they offer for blinds. Elliot at Adelaide Advertising were able to help him with a new logo and Maree, copy writer wrote all the text, and we focused on building him a responsive website in WordPress. 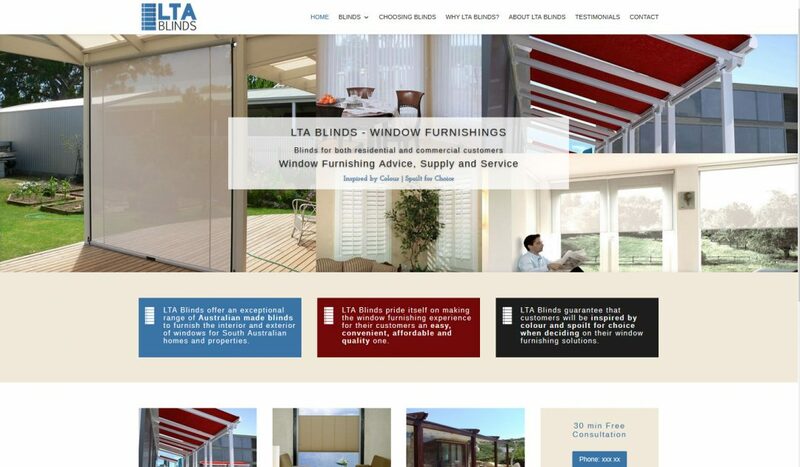 Lta Blinds were very happy with their website and we look forward working with them in the future.